The Remote Admin allows editors to access and manage your site without leaving your domain. 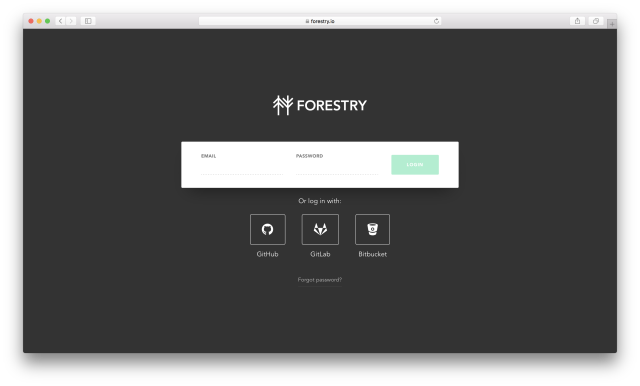 This is great for large businesses or white-label solutions where you don’t want your users accessing the CMS through the Forestry website. To set up the Remote Admin, go to the Settings page for your site, found under “Site” in the sidebar of your CMS. Select the General tab, and find the Project Paths option. From here you provide the path you want users to go to in order to access the CMS under “Admin Path”. The Remote Admin is deployed as a static HTML page, so be sure you deploy it to a path that will be treated as a static file by your static site generator. If hosting is configured, you can deploy the Remote Admin to your site in one-click with the the “Deploy Admin”​ button in your site’s settings.